Fans of CBS‘ Under the Dome series will finally get some answers. The network has announced that the Thursday night drama will come to an end after three seasons, on Thursday, September 10th. What do you think? Are you sorry to hear that Under the Dome is ending? Would you have watched a fourth season or should the series have ended awhile ago? How did it even end? I think it’s sooo sad that it’s over! I just get interested and Bam! All gone! Really not fond of that! Agree with some of the other commenters here that it was a good show initially. I really think they ended because they didn’t know where to take it – of course, if they had writers with better imaginations, it might have turned out differently. Too bad. It’s nice to shows that are different, & also so SICK of all the so called “Reality” shows that are not really real. Just shows how stupid they think we all are. I lost all interest when they started the pod-people thing. It was going down hill but that is what caused me to quit watching. It was being dragged out too much-maybe TV producers could take a lesson from the BBC; each show has an arc-a beginning, middle and end. Running shows for 10-20+ years wears them out. They get redundant and boring. 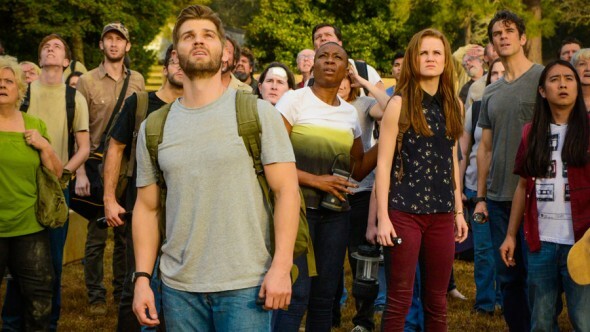 “Under The Dome” just got plain silly.